Rabbit Genetics: Dominant and recessive trait inheritance principles apply equally to rabbit coat color genetics and other genetic traits. Here's how dominant/recessive inheritance in rabbits works relative to rabbit coat color genetics. Inside every cell in the rabbit is DNA - the blueprint that dictates how the animal looks, acts and functions. Genes contain the DNA. They come in pairs. The genes always contain two copies for fur color. The two copies might be identical, coding for the same color, or, they might NOT be identical. They might each code for a different color of fur. If so, one color will be dominant, and the other is simply a back-up, or recessive (see below). One of these genes comes from the father and one from the mother. They recombine in the offspring, bringing the total gene count back up to two per trait per animal. This recombination of genetic material from parents into children is why we have such diversity among both people and rabbits. Some genes are dominant, and some are recessive. The dominant gene gets "expressed," that is, you see its effect in the color of the rabbit. The other gene is is not expressed. In fact, you might never know it's there, unless it gets passed down to an offspring and paired with another recessive. Agouti coloration is dominant. Think chestnut agouti in Netherland Dwarfs or castor in Rex rabbits. Both are agouti. It only takes 1 agouti gene to produce an Agouti rabbit because the gene is dominant. Solid black coloration is recessive (also called a 'self' color). 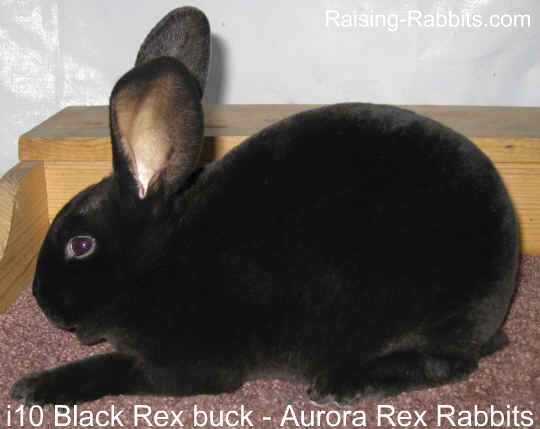 To have a black coat, the rabbit must have received two recessive solid-coloration genes, one from both parents. There is no way for a black rabbit to have an agouti gene, because if it did, it would BE agouti. Let's see how rabbit genetics work when two rabbits mate that each have both a dominant and a recessive gene. Let's use the above example of agouti as the dominant gene, coding for patterned hair shafts, and a self or solid-coloration recessive gene, meaning no patterns at all on the hair shafts. In this case, what bunny colors could you expect to find in the nestbox? This chart will help us visualize the rabbit genetics. The CAPITAL A represents the dominant chestnut agouti gene. The small 'a' represents the recessive solid-coloration gene. In our example, the sire (father) has a DOMINANT agouti gene and a recessive black gene. He will give just one of these genes, randomly, to each offspring. The same goes for the dam (mother). Our chart, for simplicity, has room for 4 offspring, which is fine. In the long run, this will accurately represent the statistical chances for obtaining these colors. We'll place a big red A from the dam into the boxes under her big A, and we'll place a little red 'a' from the dam into the boxes under the dam's little 'a.' We'll then do the same for the sire, following the rows, and we'll color the sire's genes green for clarity. 50% of the babies get a dominant 'A' gene from dad, and 50% get a recessive 'a' gene. 50% of the babies get a dominant 'A' gene from mom, and 50% get a recessive 'a' gene. So...! What color are the babies?? Baby #1 has a double dose of chestnut agouti. And he looks like it--definitely chestnut agouti. Babies #2 and #3 are also agouti, but they also carry a hidden black gene. How can you know this? You can't, not just by looking (you can test-breed), because they are chestnut agouti like their sibling, baby #1. Baby #4, on the other hand, is solid black, top to bottom! There's no dominant gene to cover up the two recessive black genes he ended up with. Above, we mentioned that the genes are distributed randomly. And they are. Out of the breeding represented in the chart, you are likely to get 1 black baby, but it's not impossible to get FOUR blacks. It is possible, but it is not probable at all. In a single breeding, you're likely to find 3 agoutis and 1 solid-color (self) rabbit, but you could also find 2 and 2. Over many breedings however, the statistics even out as represented by the chart above: 25% selfs and 75% agoutis, 50% of which also carry a recessive gene. In the hierarchy of dominant to recessive coat colors, agouti ('A') is dominant. Tan (or otter) coloration ('at') is recessive to agouti but dominant to self, and self ('a') coloration, black in this example, is recessive to both agouti and tan-pattern. Many, many traits are inherited through simple dominant or recessive genes. The rabbit gets two genes for each trait. One is the dominant trait and will be the one that influences the rabbit’s looks or behavior. The second gene is a back-up. Back-ups are the reason animals, and people, end up being so varied and interesting. 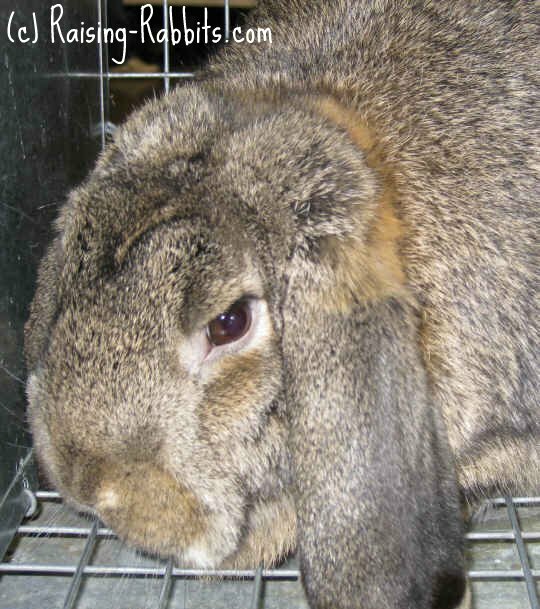 This page on Rabbit Genetics looked at just one piece of the rabbit genetics puzzle. Go to Rabbit Coat Color Genetics for a wider discussion of all FIVE primary rabbit color genes, and how they affect rabbit colors. Selective breeding is how one improves the genetics in the rabbit herd. 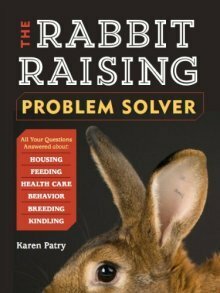 Learn how to enhance your rabbit herd's gene pool through breeding selectively and intentionally. Recessive traits can sneak along through any number of generations before rearing their sometimes ugly heads. Go to Autosomal Recessive Disorders if you need to know more about recessive genetic traits, and how to test-breed to eradicate an undesirable trait from your rabbitry.